Wood has deployed the first scanning lidar (light detection and ranging) devices on two floating wind turbines at the Hywind Scotland Pilot Park located 25 km off the coast of Peterhead in Aberdeenshire, Scotland. The 30MW project, which is the world’s first commercial floating wind farm, comprises five floating turbines and has the capacity to power approximately 20,000 households. 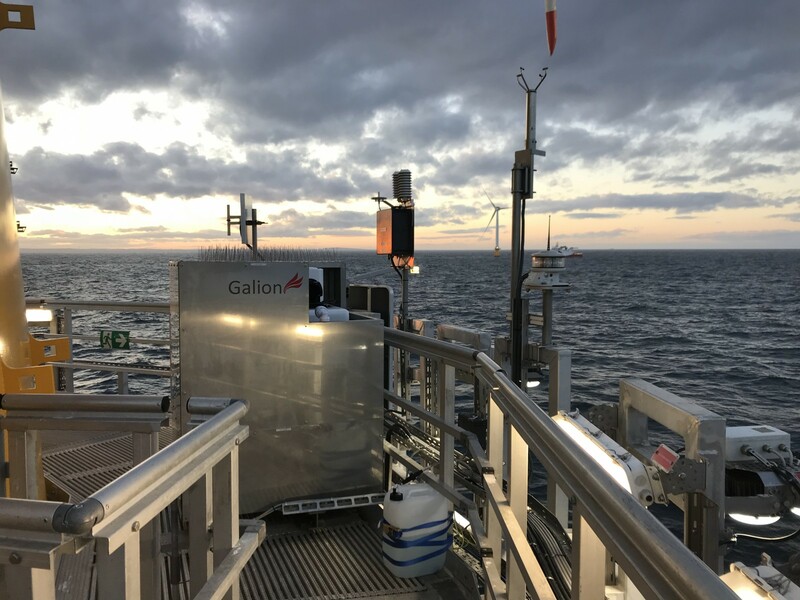 Hywind Scotland, which is owned by Statoil and Masdar, appointed Wood to install scanning lidars in order to understand wake and turbulence effects from multiple floating wind turbines, measure turbulent wake spectra and to investigate the effect of wakes on yaw motions. As part of the scope of work, Wood’s clean energy team supplied and installed two Galion Lidars and motion compensation equipment, designed and manufactured in-house specifically for the project. In addition to this, Wood is also providing long-term operation and maintenance and data monitoring, processing and reporting services. We are pleased to have successfully executed the first installation of scanning lidar on two of Hywind Scotland’s floating wind turbines. “This project represents a significant extension of the tried-and-tested IEC compliant transition piece based lidar methodology to a floating platform and is testament to Wood’s capabilities, offering in-house scanning lidar technology and the complex design and build of motion compensation equipment. The first six months’ data acquisition has yielded positive results, offering direct insight into wake behaviour that could not be directly measured by any other means. This latest role builds on Wood’s experience of using Galion Lidar for both wake measurement and power performance testing using the transition piece method, in compliance with the new IEC 61400-12-1:2017 power performance measurement standard.